Steps to Peace presents four easy-to-follow stages in order to truly understand the peace of God, and grasp the gift of eternal life that only comes through Jesus Christ. Uses ESV Bible references. Includes a prayer of repentance. Pack of 25 tracts. 6 panels in the tract. Steps To Peace With God, KJV Edition (Pack Of 25) by Crossway Bibles was published by Crossway in April 2016 and is our 12896th best seller. 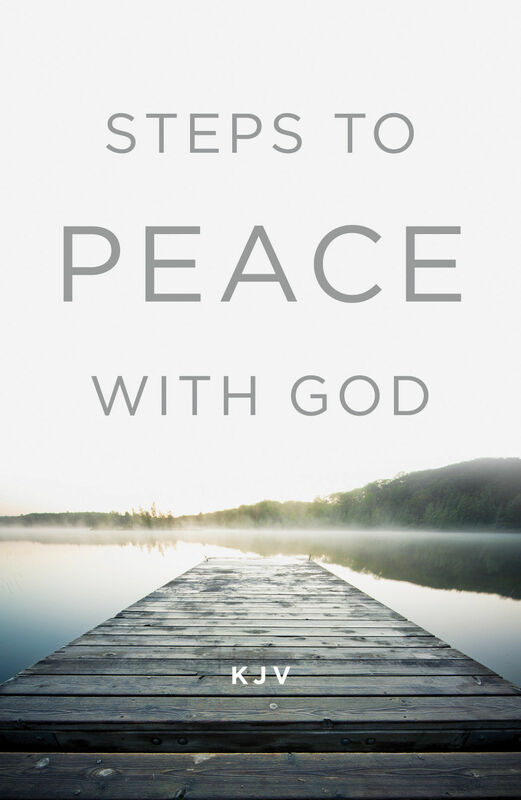 The ISBN for Steps To Peace With God, KJV Edition (Pack Of 25) is 9781682163146. Be the first to review Steps To Peace With God, KJV Edition (Pack Of 25)! Got a question? No problem! Just click here to ask us about Steps To Peace With God, KJV Edition (Pack Of 25).